Delay in Investigations: What Are the CBI, CID and SIT up to? On the one hand, the role of SS and its affiliates in the attacks on rationalists is coming to light, and on the other hand, the investigations in all the four cases is getting complicated. The Karnataka Special Investigation Team (SIT) investigating the political assassination of Gauri Lankesh has said that the leadership of Hindu rightwing outfit Sanatan Sanstha (SS) was aware of the activities of its "footsoldiers" in the killing of some rationalists. An SIT official speaking to The New Indian Express has said, "The leadership of Goa-headquartered Sanatan Sanstha was aware of the activities of its footsoldiers and lower rung cadre. We cannot subscribe to this statement that the leadership was not aware of it. They definitely knew about these plots." Chetan Rajhans, the spokesperson of SS, in a press conference last week had denied all the allegations, and had claimed that the arrested were not its members. As the SIT official noted, all those who are arrested so far are linked to SS or its affiliates. Thus, Rajhans’ claims are illogical and as a senior journalist Urmilesh points out, is a tactic of the right wing to escape the crisis situation, by distancing themselves from the crisis. On the one hand, the role of SS and its affiliates in the attacks on rationalists is coming to light, and on the other hand, the investigations in all the four cases is getting complicated. The political assassinations of Dr. Narendra Dabholkar and Govind Pansare are being investigated by the Central Bureau of Investigation (CBI) and SIT of Maharashtra respectively. Criminal Investigation Department (CID) of Karnataka and Karnataka SIT are investigating the cases of M M Kalburgi and Lankesh respectively. The four cases are being handled by three different investigative agencies in two different states. Except for the investigation by the Karnataka SIT in the case of Lankesh, none of the other investigations have yielded any result. The investigations in Dabholkar’s case, the CBI had claimed, had reached a deadlock. However following the investigations of the SIT in the Lankesh’s case and fresh arrests made by the Maharashtra Anti-Terrorism Squad (ATS) in the case of possession of explosives, proved the CBI wrong. The arrests made in the case of Lankesh and the information shared by the SIT has given a new direction to the investigative agencies in Maharashtra. Sachin Andure, along with Sharad Kalaskar, both arrested by the ATS, have confessed to have shot Dabholkar on August 20, 2013, while Virendra Tawade, who was the first suspect in the case, and is out on bail, had have planned the whole conspiracy, ATS has found. Even though this is not and should not be the end of the investigation, it is relieving to finally see the investigation moving forward after five long years. As Megha Pansare, the daughter-in-law of Pansare has told Newsclick, there has been no progress so far in his case. 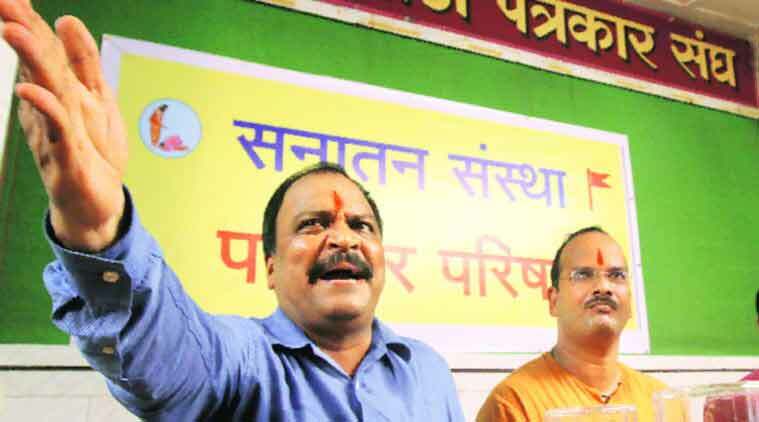 Samir Gaikwad of Sanatan Sanstha (SS), who was arrested in September 2015, was granted bail by a Kolhapur court in June 2017, and Srikanth Pangarkar an ex-Shiv Sena corporator was detained in relation to Pansare’s case. Apart from these two, there have been no arrests. The CID has got no major leads in Kalburgi’s case either. G. Parameshwar, the Deputy Chief Minister of Karnataka, has said that the Karnataka government is thinking of handing over investigation into the killing of Kalburgi to the Special Investigation Team (SIT), after it completes its probe into the Gauri Lankesh murder case. All the arrests made so far are in the cases of Lankesh and possession of explosives. In the former’s case, the Karnataka SIT has arrested 12, and in the latter case, the Maharashtra ATS has arrested five. Further interrogations of those arrested have shown that it is the same set of people involved in all the four political assassinations. The five arrested in the case of explosives are also reportedly involved in the case of assassination. For example, Amol Kale, Amit Baddi and Ganesh Miskin, who were arrested and interrogated by the SIT in the case of Lankesh, are also being named in the case of Kalburgi which is being looked into by the CID. Now, CID which is willing to interrogate all of them, is also wanting to interrogate another arrested by SIT, Rajesh Bangera. This demand by the CID is not being considered by the SIT, as the investigation is still not complete. There also reportedly exists a tiff between the Maharashtra ATS, SIT and the CBI looking into the cases of Dabholkar and Pansare. Both CBI, an investigative agency under the Centre and Maharashtra SIT were completely inactive in probing the assassinations of Dabholkar and Pansare. One wonders why this delay? If multiple investigative agencies investigating these cases independently is delaying the investigations, the reluctance of the agencies to cooperate with each other is saving the SS and its affiliates. As the agencies and the governments now are aware of a larger conspiracy involving the SS is in place, this delay can turn out to be dangerous.